This is your day, your moment. 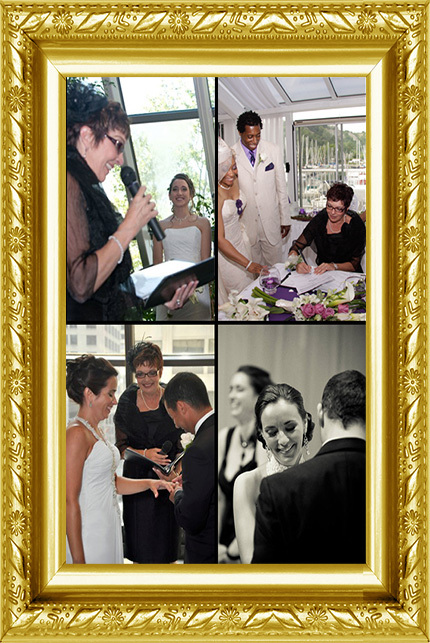 Your ceremony will be personalized by Christiane in English or French. your family and guests will remember. Hello Wonderful Officiant! We are back from our mini-moon and are both loving married life! We are still hearing about what an amazing job you did at our wedding - thank you so much. Your personal mix of officiating with just the right touch of the theatrical made our ceremony shine. You went above and beyond for us and we appreciate it so much, Christiane. My mother and Marc's parents were touched that you made a special note to speak with each of them and the french that was included in our vows and throughout was such a wonderful surprise. 'Thank you' doesn't seem like enough!